When we refer to noise, it is usually in the context of unwanted sound energy. The word noise has a negative connotation. Most of life’s noise we want to keep out of our rooms or contain the noise within the room or space it is generated in and keep it from leaking into other rooms. A noise barrier would refer to some type of system which would prohibit noise from leaving or entering a room. A noise barrier technology is not to be confused with sound absorption technology. Sound absorption technology deals with absorbing energy inside of a room. Noise barrier or any sound barrier technology refers to the inhibiting of sound from entering a room or leaving the room and going into adjacient rooms or structures. Noise barrier technologies are complicated and difficult structures to build. One must isolate the mechanical vibrations that sound produces through a series of layers of different materials and air spacing. Most noise barrier technologies must be physically decoupled from existing structures, so that sound vibrations are not transmitted to surrounding structures. The term ” sound insulating panels” is confusing. Sound is either reflected, absorbed, or diffused. I do not know any sound that is insulated. I think people want to be “insulated” from sound or a better term would be isolated from sound energy. They just don’t want to hear the bass. 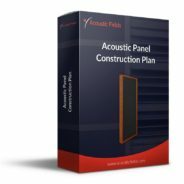 Maybe the term sound insulating panels came about because a lot of acoustical absorbing panels in the marketplace today are filled with fiberglass or glass wool insulation. People then began to equate fiberglass, steel wool, with housing or building insulation and the quiet their homes exhibited. Thus, the term sound insulation panels was born. 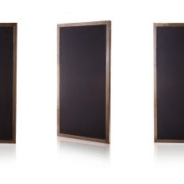 Sound insulating panels should be changed to sound absorbing panels. We don’t want to insulate sound, we want to absorb, diffuse or reflect it. We can insulate our homes, but lets leave sound where it belongs. Sound barrier technology refers to the ability to keep the sound in a room from spilling over into existing rooms or structures. It also refers to the ability of a structure or room to keep outside sounds from entering the room. Sound barrier technology refers to the physical characteristics of materials and how they are arranged to prevent sound and vibrations from transmitting through them. Sound barrier technology consists of materials that have different densities and these materials are arranged in a manner that contributes to reducing vibrations from the electromechanical energy of speakers and any other sound generating device. 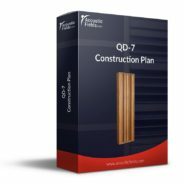 It is the arrangement of these materials and their respective densities that is the key to producing a good sound barrier. An air space between the layers of different materials is also used to isolate vibrations. The best way to isolate sound is to build a structure within a structure that is decoupled physically from each other. The Russian doll with a series of smaller dolls inside is an example of good sound barrier technology. Each doll is a separate physical structure set within another doll. Sound barrier technology has a rating called STC. STC stands for sound transmission class and refers to a structures ability to minimize sound transmission through it. A STC rating of 55 would be a good rating for a door in a recording studio. A STC rating of 60 would be a good rating for a wall within that same studio. Bass traps are designed to absorb low frequency energy in our listening, home theater, and professional recording studios. There are two major types of bass traps currently on the market: membrane and diaphragmatic. The first type of bass trap you will see companies offer is a membrane type absorber. This is a box or cavity that is a certain depth that also has a membrane or cover stretched over the absorber itself. The membrane is cosmetic and is used to cover the contents of the absorber which is usually some type of construction, insulation type, material. The unit itself is constructed of light weight materials. The performance of a membrane absorber is determined by the depth,size, and insulation type material used inside the absorber. The second type of bass absorber used today is a diaphragmatic absorber that has a face that moves in response to sound pressure exerted upon it. It moves like a speaker cone with a back and forth motion. It movement is not as pronounced as a speaker cone, but it does move in response to low frequency pressure. Inside the diaphragmatic absorber, we can find fiberglass insulation type materials or specially designed materials that lower the pressure level inside the cabinet itself. The cabinet is made to be very rigid to encourage the diaphragmatic face to “move” without the cabinet itself moving. Membrane type low frequency absorbers are light weight. They are not designed to go down to the lower frequency range even though the manufacturers claim they do. Diaphragmatic absorbers are heavy, but absorb much lower frequencies at greater rates and levels. Sound absorption deals with the absorption of energy within our room boundaries. Our room is a vessel into which we put sound energy in through the use of amplified sound. If we have too much sound energy for the room or “vessel” to handle, we must reduce that sound energy through sound absorption. Sound absorption technology deals with the sound energy within the room itself. This is true for all frequency ranges. Excess low frequency energy into our rooms causes numerous listening issues. Specially designed sound absorbers must be used to control this type of energy in our rooms, so the low frequency energy does not smother the other frequency ranges. Middle frequencies are important in the accurate portrayal of our vocals. A balance of sound absorption and sound diffusion works well for mid range frequencies. 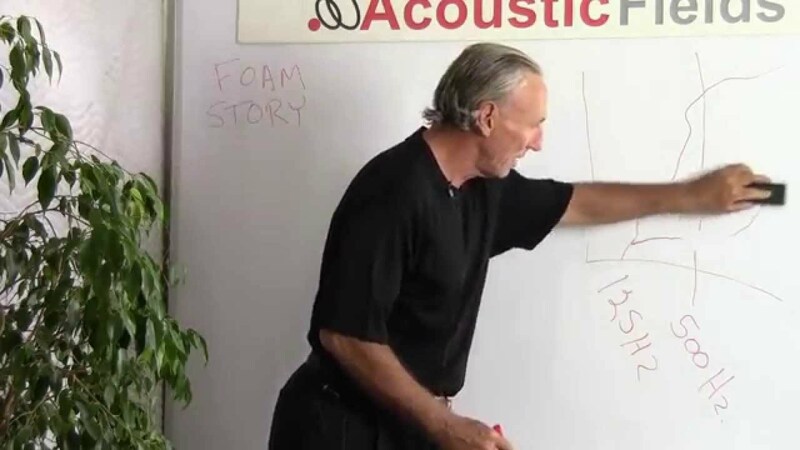 High frequencies are usually controlled through the use of sound absorbing foam technology. Soundproofing refers to the energy within our rooms and also to the energy outside our rooms. We use soundproofing technology to keep noise outside our rooms from entering our rooms and interfering with our speech or musical presentation. Soundproofing technology can also be used to keep the energy within our rooms from “bleeding” into other rooms or adjacent rooms. This is especially true for low frequency issues or “bass boom”. Soundproofing technology is complicated to design and expensive to implement. 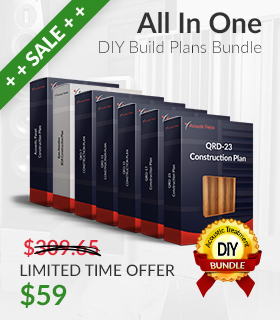 One has to spend a lot of money in soundproofing materials to affect a small amount of change. Sound absorption in our person listening, home theater, and professional recording studios is a popular method to control unwanted room wall and ceiling reflections. Too many reflections confuse our ears and brain. We don’t know where to localize or focus all our attention to. We want to hear the direct energy of our loudspeakers first, before we hear any room reflections. The direct sound contains all the music without the room sound which occurs because of too many room boundary reflections. We must slow down those unwanted reflections from the walls and ceiling , so they reach our ears after the direct energy from our loudspeakers. Once we absorb energy or room reflections to control them, we change their energy form from electromechanical to heat. This energy transformation is caused by the absorbing material we use to absorb excess energy. Once we change the sound energy from our loudspeakers to heat through sound absorption, we have lost that amount of sound energy. Losing sound energy to control room reflections through the use of sound absorption techniques is a process that must be carefully thought out. Once sound energy is converted to heat, it is lost forever and can never be reclaimed. A balance between sound absorption and sound diffusion is a better approach than using too much sound absorption material. We all have been in rooms that have used too much sound absorption. The room has no reverberation or air to the sound in the room. Individuals state that the room sounds dead. This is caused by too much sound absorption material placed in the wrong positions. When you over absorb the middle and high frequencies in our musical presentations, you take the real world sound away because all sounds we hear, have some balance between direct and reflected sound no matter the sound source.